I feel like I’ve been reading a lot of buzz books lately: The Primates of Park Avenue; The Unbearable Relevance of Beauty; Outline. You know the books I’m talking about: the ones that get mentioned in Slate and Salon and reviewed in the New York Times. The one everyone talks about (at least everyone on the literary book blogs) for a few months, and then never discusses again. I feel like this is bad of me. I feel like I shouldn’t just be contributing to the literary echo chamber. If I’m going to read new releases, I should go out there and read stuff that no one is talking about. The problem is that so many buzz books are so good!!! All the books I mentioned above were incredibly enjoyable. And so is the one I’m reading now. 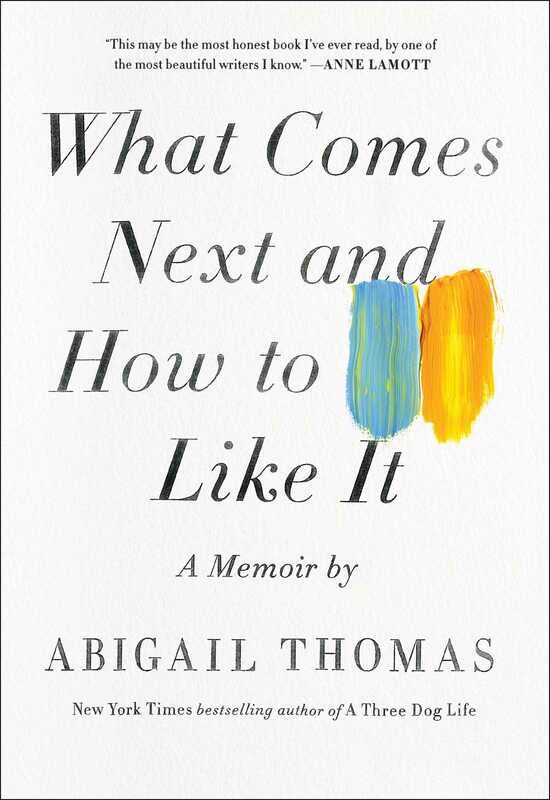 What Comes Next And How To Like It is one of those grief memoirs (a la The Year of Magical Thinking by Joan Didion or A Widow’s Story by Joyce Carol Oates). But I’ve never read those books, so I can’t know how it stacks up. The organizing principle behind this book is the author’s lifelong friendship with Charles, her coworker and, later, literary agent. This is a relationship that endures despite calamity in her own life and some pretty upsetting actions on his part. The characters are lovely, particularly the characters of her (adult) children. She gives them so much personality and warmth, without sacrificing the complexity of the mother-child relationship. And the writing style is beautiful. When you pick up this sort of book, you’re generally expecting a lyrical meditation on life and aging. And, to me, lyrical meditations are a huge turn-off. Seriously, phooey. I don’t care about how beautifully you can describe the hummingbird coming to the feeder in your garden. This book isn’t like that. It’s concise. It’s centered events and scenes and human relationships, and it’s very…real. Very immediate. Whenever she’s reflecting back on something, she’s always a person, in a specific moment, reflecting back. And in fact it’s very interesting to see her try to process, years later, events that she described in scene just a few pages early. A tremendous performance, all around. Am readjusting to life on the inside!